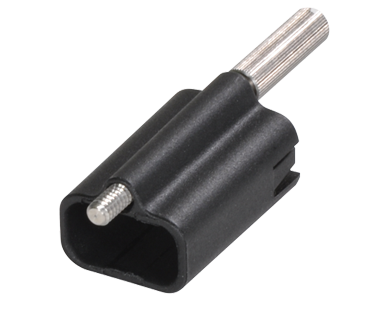 To use it, simply slip it over the cable connector, and then plug in the connector and secure it to the product by turning a thumbscrew. Because ThunderLok 3 doesn’t attach to the connector, it stays on the cable and won’t get lost when not in use. Sonnet already includes a single ThunderLok 3 with many of its Thunderbolt 3 products. ThunderLok 3 with all 0.5-meter Thunderbolt 3 (40Gbps) cables, and 1–2 meter Thunderbolt 3 (20Gbps) cables.